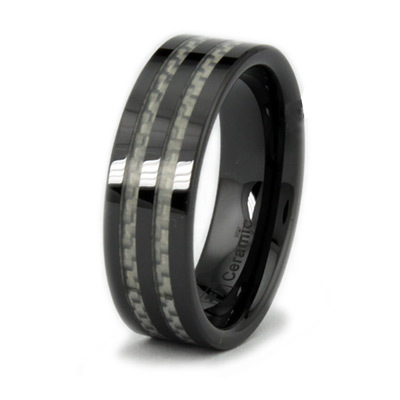 Black ceramic ring boasts two grey carbon fiber inlays. Ring width: 8mm. Flat center. Men's ring is available in whole and half finger sizes. Comfort fit. Made of black ceramic in China.